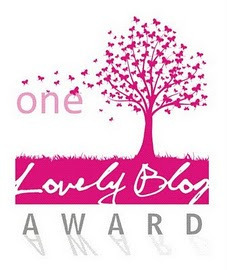 There are a few blog posts I am going to reblog as a follow-up to last week’s Fanciful Utility Anniversary. You know how certain items make you just a bit more excited than other at antique shows? You know how some of them cause you to let out an accidental “squeee!” that may be just a bit embarrassing afterward? 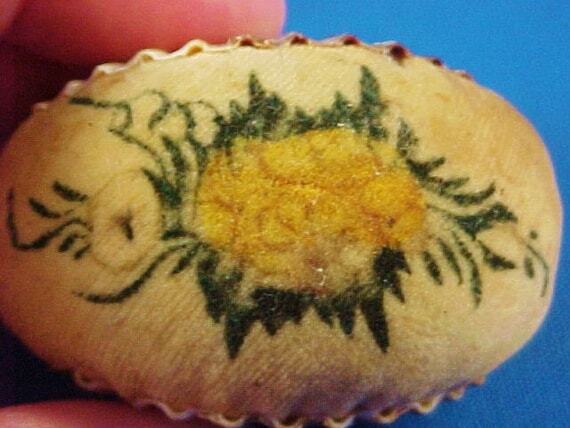 Well, this little seashell pincushion was one of those items. Of course the photo had to come out awful and blurry. This little pincushion was simultaneously a fond childhood memory in the seashells, a fun flashback to Pioneer Day Camp in the theorem, and a tangent curiosity as a researched for Fanciful Utility. Oh, it was also a little over $100, out of my pin-money price range at the time. I find pincushions interesting. I find what I’ll call “mixed media” pincushions fascinating. 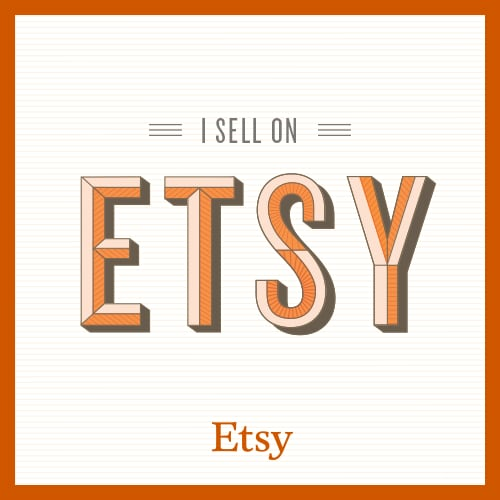 There are many kinds of mixed media pincushions. 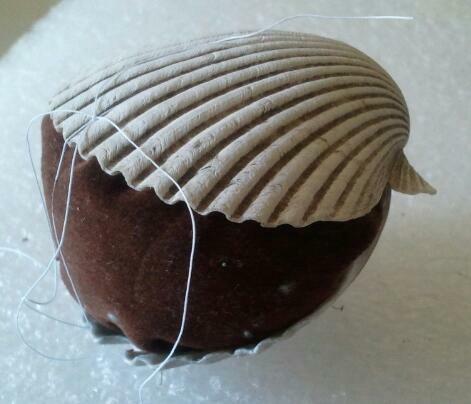 You likely already saw the post on why I have walnut shells in my sewing basket. Then there are little baskets with pincushions inside, tins with pincushion s inside or on the lids, small band or pasteboard boxes with pincushions on the lid. 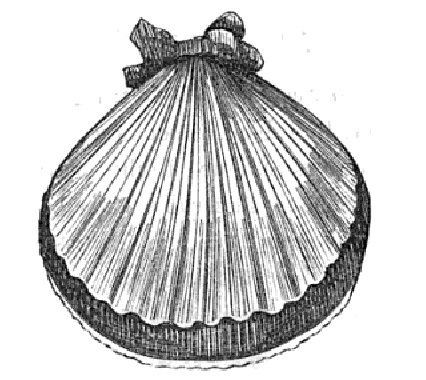 Pincushions and needle-books made from seashells can be found in girl’s activity books of the 19th century such as these from The Girl’s Own Toymaker. 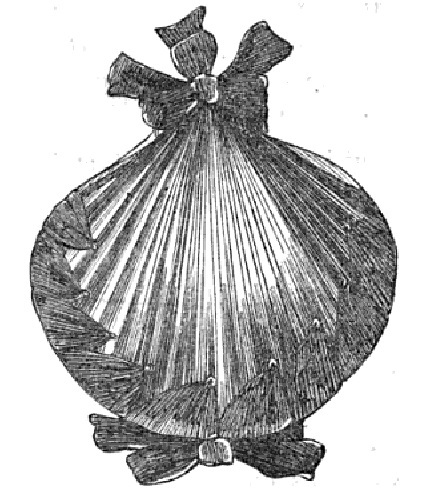 We still see an assortment of original shell pincushions around. The most common exterior fabric is velvet, either in a single color or in a white/ivory/cream with either theorem painting (a type of stenciling) or painting. I have yet to determine how common it was for the shells to be an exact match or just a close match or just the same size. 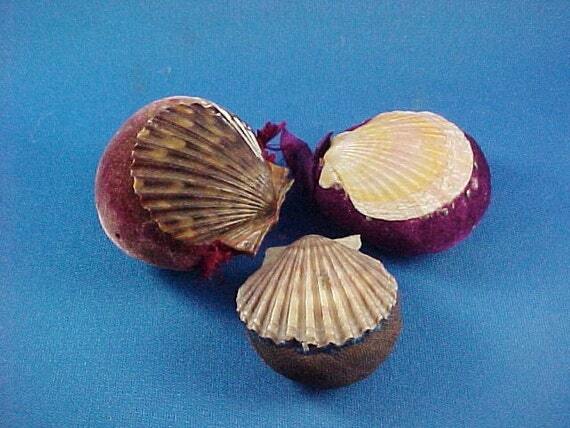 This trio has unadorned velvet for each pincushion. 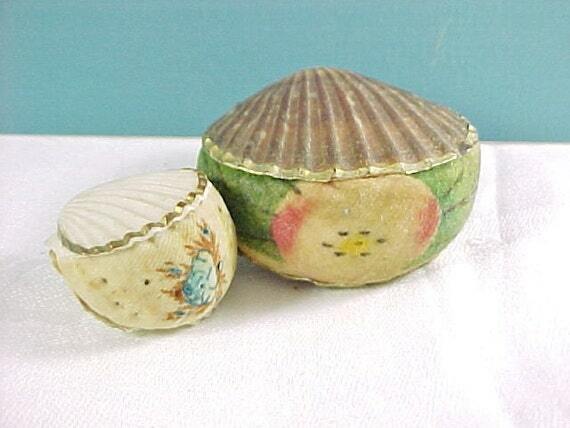 These are swoon worthy painted seashell pincushions. 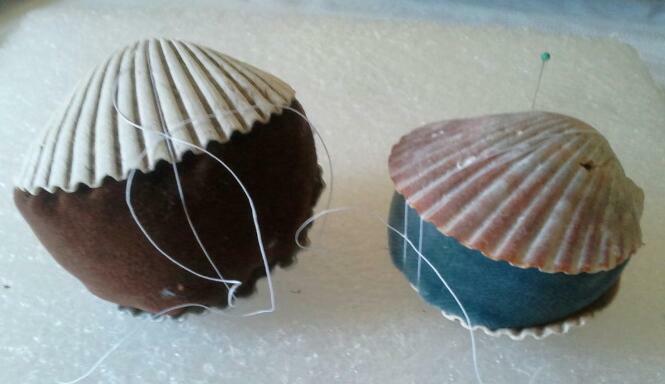 I picked the brown velvet for the larger pair because that shell has a brown in the dips of the scallops. I picked the blue velvet for the red and blue shell to bring out the blue in the shell. I have a special shell supplier who I am grateful to for my assorted pretties. I definitely need more velvet pieces. I need a natural white to do some theorem or painting. I am really looking forward to doing some of the painting. There are a few smaller shells in the set. Those who know me, know I love playing with pieces on a smaller scale. Want to know more about Theorem Painting? I suggest this article.